Attract what you want instead of what you don't want. Find out what it is you truly want, and practice getting into the feeling space of that desire so you can manifest it. Get out of negative thinking and truly believe that you will receive what you desire. Grab the opportunity for success and happiness when it presents itself. attracting success into your life. what action are you going to take today? 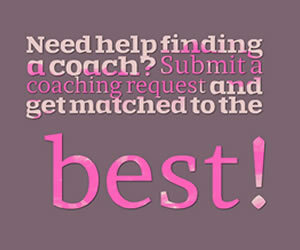 SELECT Find the coach you need based on verified reviews, coaching hours and recommendations. TALK Book a free call to talk with a coach of your choice with no obligation, according to your own schedule. SOLVE Book online with your coach, or find another personal development solution in the Coaching Shop. How Does Law of Attraction Coaching Help You? Law of attraction coaching will show you how to see yourself in a whole new way. This will transform your world. With coaching you answer many questions about yourself. This lets you deeply explore what you really want in life. Coaching guides you to the answers that are best for you. Once you truly connect with what you desire, then coaching shows you how to attract it. Law of attraction coaching works by turning on your positive thinking. The goals you set become your new focus. You will no longer think about what you can’t do. Instead you’ll put your energy into what you want. This shifts your outlook. And you’ll get a powerful boost when you frame the world differently. It makes you attractive to people that can help you meet your goals. Once your thought patterns are trained to focus on your desires, more opportunities will come. Coaching helps you expand on this force by always eliminating your negative thinking. With law of attraction coaching you’ll learn to project positive energy into the world. When people see your enthusiasm, you’ll become a magnet for job offers, partnerships, relationships and any other things that support your goals. Coaching in law of attraction methods opens you up to new opportunities. It ends your negative thinking that closes you off from the world and your desires. It teaches you how to embrace your dreams. Law of attraction coaching is very effective for teaching you to be mindful. Mindfulness keeps you in touch with your thoughts and feelings. This awareness gives you control. You won’t react thoughtlessly. You’ll make careful choices that support your goals after coaching. Coaching teaches you how to get rid of limiting beliefs. Everybody has them at some points in their lives. But it’s critical to wash your negativity away with coaching if you want to attract success. Mindfulness also helps you focus on your goals. You will keep what you want foremost in your thoughts. This stops you from sabotaging yourself. You won’t make decisions that take you away from your goals anymore. With the law of attraction skills you gain from coaching you’ll become more productive. Guided by your goals, you’ll naturally have more energy for your projects. Your new and positive thought patterns put you on a path to success. You’ll stop energy-sucking habits and become the person that inspires others. New to law of attraction coaching? 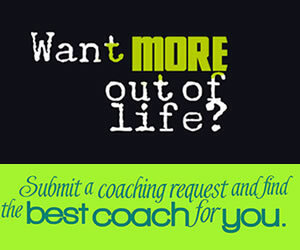 Read all about what life coaching is and how it works. The more you are thankful, the more the universe will grant you something to be thankful for!